At present, the world has been thrust into unpredictability as signs of the shifting balance of world powers, and dramatically changing global politics and economics are becoming more and more visible. At the same time, the millennial generation, shifting values, technological innovation, the digital transformation, the horizontal expansion and stratification of the industrial structure, the appearance of new ecosystems and other discontinuous changes and disruptions to the status quo are taking place all around us. Marubeni’s management, however, which embodies our company creed of “Fairness, Innovation and Harmony”, is perfectly suited to this era of uncertainty. Creating clarity with fairness, originality and ingenuity with proactive enterprising, respecting one another, and working amicably together – these are words that fit the times we find ourselves in today, and will no doubt continue to resonate in the future. Last June, the Marubeni Group adopted the “Global crossvalue platform”. As we forge ahead into the yet unknown and the uncertain future, we will use this platform to continue to proactively engage in salient social issues, and through vertical evolution and horizontal expansion, we will break down the barriers between industries, hurdle obstacles between internal and external, and transcend international borders. In doing so, we will create and provide solutions for the people of the world. 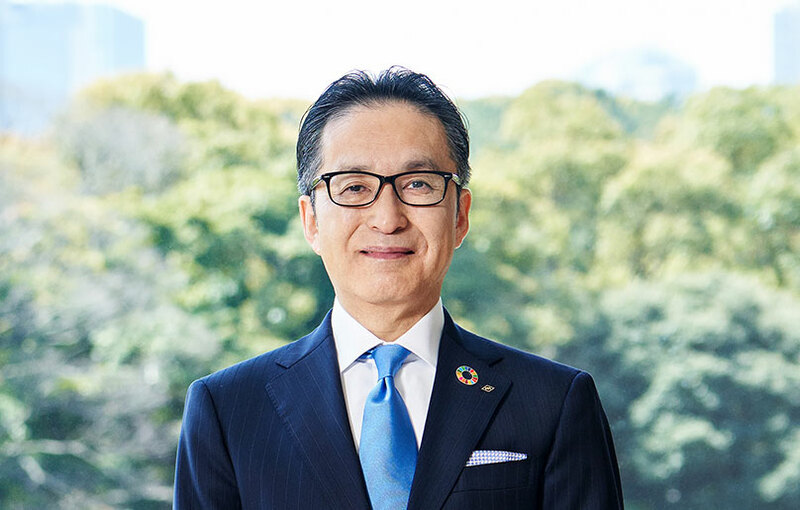 We will take on the dual challenge of further strengthening our existing businesses, while also exploring new business, simultaneously pursuing sustainable and explosive growth as we strive to improve the Marubeni Group’s long-term corporate value.